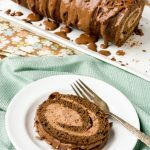 You’d never know this Chocolate Tiramisu Cake Roll is actually low carb and sugar free and even nut free, just by looking at it or even tasting it! 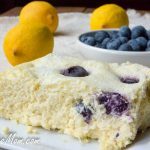 Most low carb desserts are made with almond flour, but not in this luscious dessert! 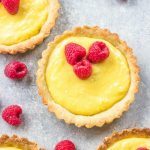 When you’re looking for an impressive dessert for family and friends who might not be sugar free or low carb, this is the one that will surprise all of them! 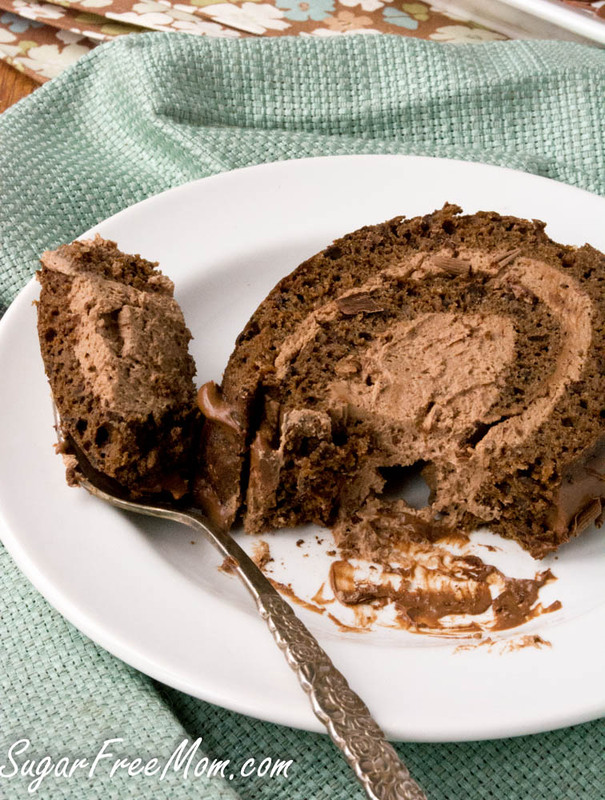 The chocolate cake has a light and airy texture and every single bite is creamy and delicious with all the flavors of a traditional tiramisu dessert without all the trouble of one. 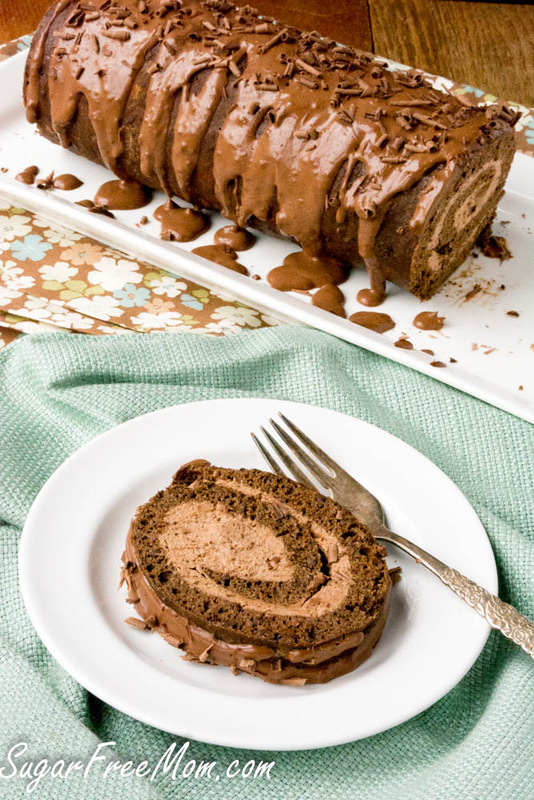 If you’re looking at this and have never made a chocolate cake roll before you might be a little intimidated as I was once. I’ve had plenty of trials with this recipe, but this final version is the one that will make anyone have success. Let’s be honest though, it takes a bit of time to assemble something like this, while the baking of the cake itself takes as little as ten minutes. The cooling time and chilling time takes a bit more longer than a traditional cake, but the outcome is well worth the work. My youngest has a tree nut allergy but also really just hates anything that has coconut flavor. 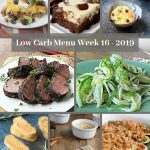 Hiding it has been my goal as a low carb recipe developer since I can’t use almond flour in family recipes. A product you may have never heard of before that is in this recipe is psyllium husk powder. The seeds themselves are indigestible, but are processed into powder for easier consumption. 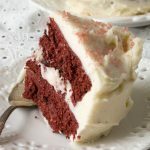 They are a wonderful source of dietary fiber, but here in this recipe, I’m using it to help the cake itself not break when rolled, which happened 4 other times I tried making it. 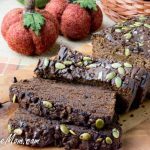 Ground psyllium seed husk helps bind moisture and make breads less crumbly so after seeking advice of my friend from Low Carb So Simple I added just a little and success happened. The steps are quite simple really, bake the cake in 10 minutes, roll while warm, allow to cool completely, add coffee syrup and creamy filling, roll back up, chill it a while then add chocolate ganache over the top. Here’s a simple 3 ingredient Chocolate Ganache that doesn’t even use heavy cream. The cooling and chilling time are what take longer than anything else in this recipe. I think he has no idea coconut flour is in it and I will never tell! Line a baking sheet with parchment paper and grease. Set aside. Chop the chocolate in a food processor until fine crumbs. Add the remaining dry ingredients into the food processor and blend until combined. In a stand mixer add the eggs and remaining ingredients for the cake and blend until combined. Slowly pour in the dry ingredients into the wet and blend until all incorporated. Spread this onto the baking pan, 10 by 14 inches was the size I made mine. Remove immediately and sprinkle with a little unsweetened cocoa powder over the cake. Cover with a clean linen towel. Place another baking pan the same size and flip over. Immediately and carefully remove the parchment on this side. Sprinkle with more cocoa powder and another clean towel or use parchment. Roll up, starting at the short side, while the cake is still warm. Allow to cool completely. Whisk together the syrup ingredients and use a pastry brush to cover the cake with the syrup. Make the filling in a stand mixer, blend on high until smooth and spread evenly over the entire cake. Roll cake bake up, cover with parchment and refrigerate for at least 2 hours. Heat the cream in a sauce pan over low heat, until just gently simmering, do not boil. Remove from heat and whisk in the remaining ingredients. Taste and adjust sweetener if needed. Cover cake with ganache and refrigerate. Use parchment over both rolled ends but leave the ganache on top uncovered in the fridge. Allow to chill for 3 hours or overnight before serving. If you don't have Swerve confectioners, use granulated or another granulated sugar free sweetener you like. You don't need chocolate stevia but it does make the cake more chocolate flavored. Since Swerve is much less sweet than another granulated substitute, I would recommend leaving out the stevia if using something other than Swerve. 1/2 tsp of liquid stevia is equal to about 1/2 cup of sugar. If you don't have mascarpone cheese, use cream cheese but makes sure it's softened well. It looks great! I just noticed a typo under the “Filling” section… it is 1/2 tsp of co-? This looks scrumptious! 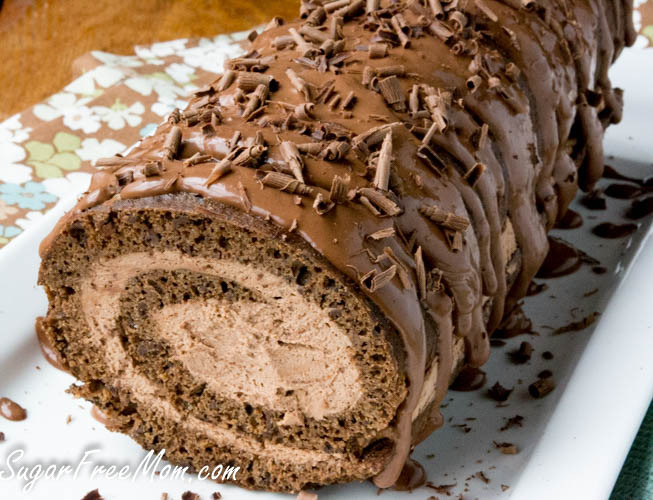 Why have I never made a cake roll before?? Or at least since I was a teen…I seem to remember making one then. My husband is a choco-holic and would devour this pretty cake! 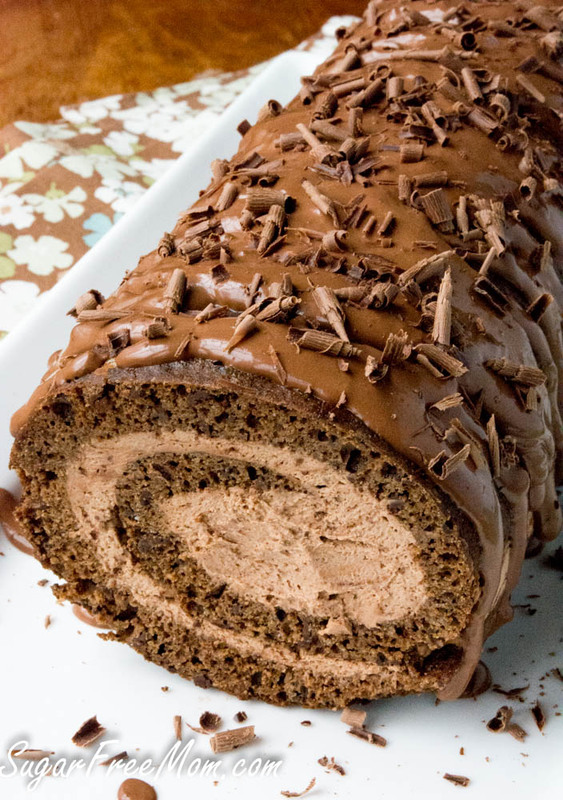 I’ve never made a cake roll before but this looks so amazing! Great job! Cake tools are not that hard to put together, but do take a little time. 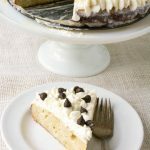 I love that you used coconut flour and that he didn’t notice the flavor! Since all forms of stevia have a terrible aftertaste to me, I need to compensate for the sweetness in the chocolate stevia–if 1/2 tsp equals the sweetness in 1/2 cup sugar, then should I add a whole extra cup of granulated sweetener? I am confused because in your notes you said to simply leave out the stevia if using a sweetener other than Swerve–but that seems like an awful lot of sweetening power to leave out if it’s equal to a cup of sugar. I will clarify, if using a sugar free sweetener instead of Swerve which is only mildly sweet than leave out the stevia. If you are using regular sugar I would still suggest less than a cup, maybe 3/4 cup. It looks sooooooooooo dang good! So creative and delish!! 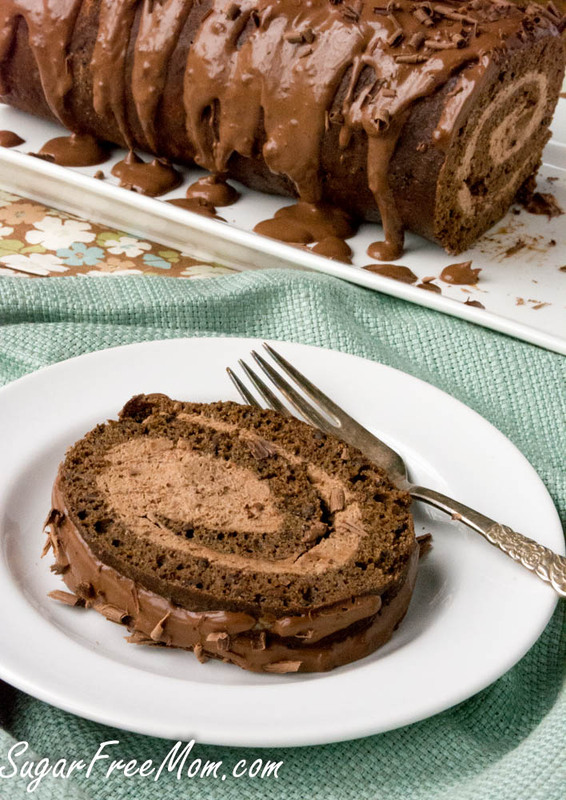 Tiramisu cake roll, what a great idea!! This looks absolutely mouth-watering! This looks seriously scrumptious. Nothing beats tiramisu, except tiramisu rolls. 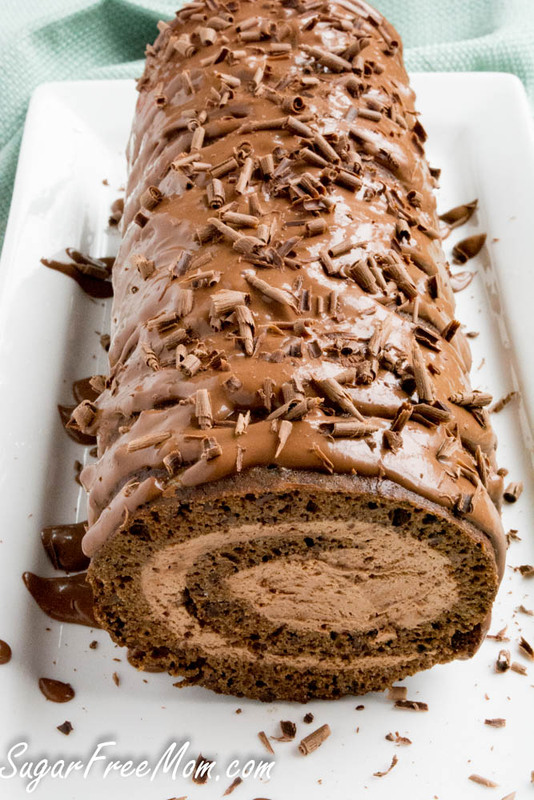 It’s like a swiss cake roll but with all the yummy goodness of tiramisu. I’m all over this one. Ha never thought of that, it’s true, like Swiss cake rolls, maybe I need to make little versions! Thanks for the idea! 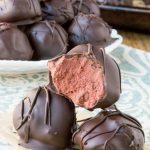 OMG now this is chocolate heaven – looks absolutely fantastic! I want to know can I remove baking soda?is it necessary? I’ve not tried it without it so not sure how well cake would do without it. any replacement for the psyllium powder? Not sure what else could replace it, I’ve tried it without and each time it cracked. I bet that acacia powder would work well. I don’t like stevia. It has a terrible bitter taste to me. Would I be able to use Torani sugar free chocolate syrup in lieu of the chocolate stevia? Thanks so much! I’m sure that might work, not sure how sweet it is though compared to stevia, always start with less then you think. 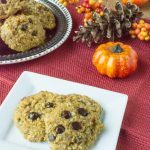 I love this recipe and it is introducing me to new ingredients. My husband does not like coffee flavor, what could I substitute to keep the liquid measurements correct? You could just use water, but the coffee isn’t prominent, it really enhances the chocolate flavor. Hi, Brenda, Can you tell me what the ingredients are 1/3 cup, 1/4 cup and 1 tbsp in cake section? This looks delicious! Could you tell me where you get coffee extract or could you leave it out? Thanks! I buy most of my ingredients online through iherb.com and my discount code is YAJ035. 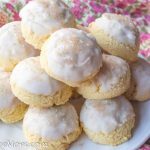 Am new here and can’t wait to try your recipes! I was reading that you put psyllium husk powder to help bind the cake together better. I am really curious if that would work for my pumpkin cake roll as i have a hard time getting it not to crack. I use regular flour and don’t know if that would make a difference or not? 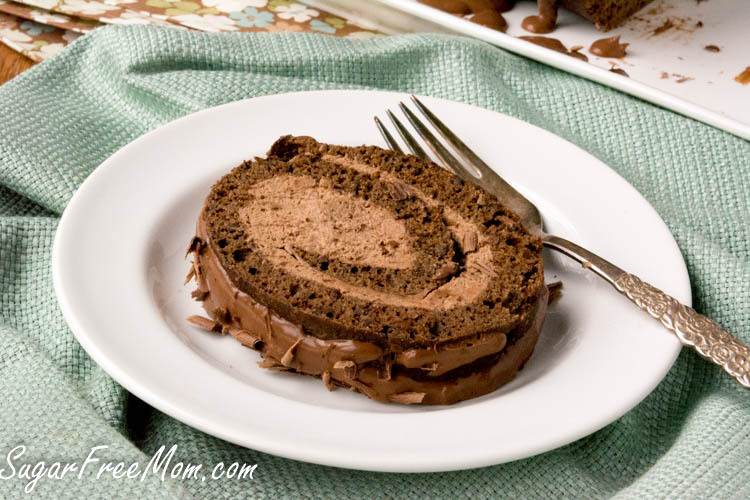 Thanks and I will have to try this cake roll as it looks delicious! It really made a difference as I had 4 or 5 cracked rolls before I tried the psyllium. We just tried to make this today and it was a disaster!! The cake just cracked even though we used the powder stuff as required and it just refused to roll and now our cake looks triangular!! These ingredients are expensive where we live and it was just a waste!! Ugh! Not to mention trying to spread the damn thing on a tin is just impossible. 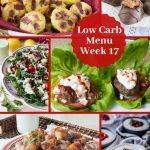 For all the effort might as well just not bother making a low carb one! I’m sorry it cracked. When did the cracking happen, when you tried to roll it while warm or once it cooled and you were adding the cream inside? It was cracking while it was warm and even more when it was cold. It was okay when we put the filling on but by that point it was like putting a plaster over the grand canyon. Do you think you might have rolled it a little too tightly? I rolled mine really slowly and only made about three turns/rolls. I’m sorry yours cracked. I will be working on this recipe some more to see why it if I have the same results. This cake turned out perfectly!! It is so delicious my husband and I felt like we were being bad eating it! Im a Type 1 diabetic so to be able to eat this kind of dessert without a blood sugar spike is priceless!! Thank you! Oh that is so awesome to hear! So happy you loved it! I was wondering how do you roll the cake? I just wanted a bit more clarification cause I really don’t want mine to crack because I’m so bad at these things. Thank you! Could Xanthan gum be used instead of the psyllium powder? Your cake looks so good! I can’t resist making it. I have bought all the ingredients required to make it. Could you please tell me what you mean by strong cooled coffee. Is it coffee plus water? What’s the ratio? I just mean make a cup of coffee stronger than you’d normally drink it and cool it in the fridge or have it room temperature not hot before using it in the recipe. I made this cake today and it is delicious! My husband and I are both diabetic and it was wonderful to eat cake and enjoy it as much as we did! I will be making this often.